No visit to Ohio would be complete without a pilgrimage to the house, workshop and grave of the Wright Brothers. Although you can visit the site of their workshop and see a replica, the original was bought by Henry Ford and transported to his indoor/outdoor museum in Dearborn, to be displayed amongst other exhibits such as Edison's entire laboratory, the rocking chair Lincoln was sitting in when he was shot and - my favourite - a scale mock up of the Ford Nucleon Fission-powered concept car. The Wright's house is still here - a grand mansion with columns and a portico, and not far away, the family grave. The brother's graves are simple and dignified granite headstones with just their names and years of birth and death - they are too famous to require any note saying what they did. 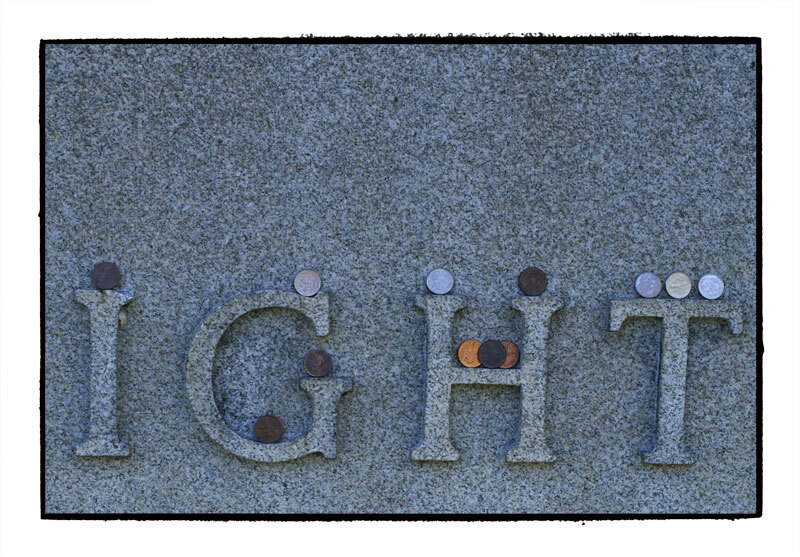 There were toy aeroplanes sitting on the headstones left by well-wishers, and lots of coins, a mixture of pennies and nickels. These ones are resting on the large family memorial.